Cleardata is one of the largest document scanning bureaus in the UK, offering high quality solutions throughout the UK. Scanning is our core business, our team captures over 3 million images per month. We've invested in the latest technology and offer a quality accredited service, supported by our own IT team and experts. Cleardata meets industry wide records management standards and is a member of the Information and Records Management Society. Click here to find out more about our accreditations and security. Our modern premises have been custom built and accomodate our scanning bureau, secure archiving facility, document shredding equipment and IT team to fully support your digital document requirements. The company operates a state of the art document scanning bureau, using the latest Kodak scanning equipment. We became the first bureau in Europe in 2012 to purchase Kodak's i5800 high volume document scanner, as featured in the IRMS Magazine. Our team is experienced in the document management sector, with over 30 years industry experience. Cleardata can offer process consultancy to help free your business from paper and advise on how scanning and intelligent capture software can improve efficiences in your business and ultimately reduce costs. Cleardata can help set up an onsite bureau for your business, if you'd prefer to do your own scanning in house. The onsite scanning team can visit your premises, offer staff training, advise on the best scanners to do the job and provide these as a preferred Kodak reseller. The team has experience in this area and has set up in-house scanning bureaus for companies in the legal sector and local authorities. 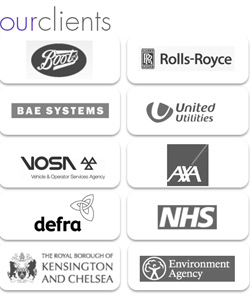 We're proud to be a trusted provider for many UK clients, including blue chip organisations, financial service companies and over 65 local authorities and NHS Trusts. Cleardata offers a one stop shop for any document management requirements. The team is committed to delivering the best quality scanning solutions, through continuous investment.